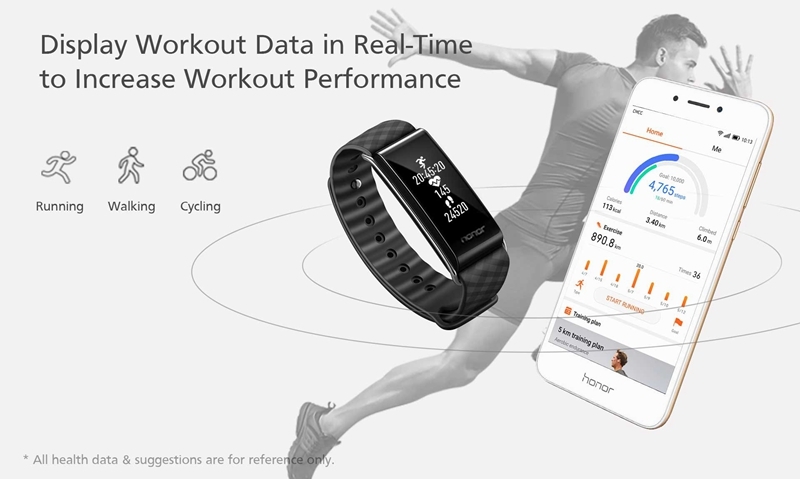 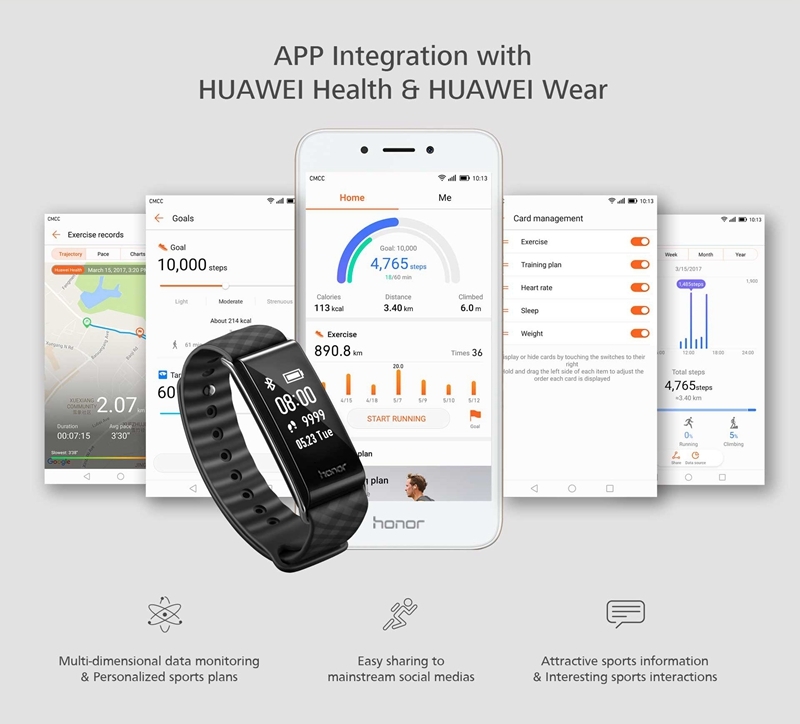 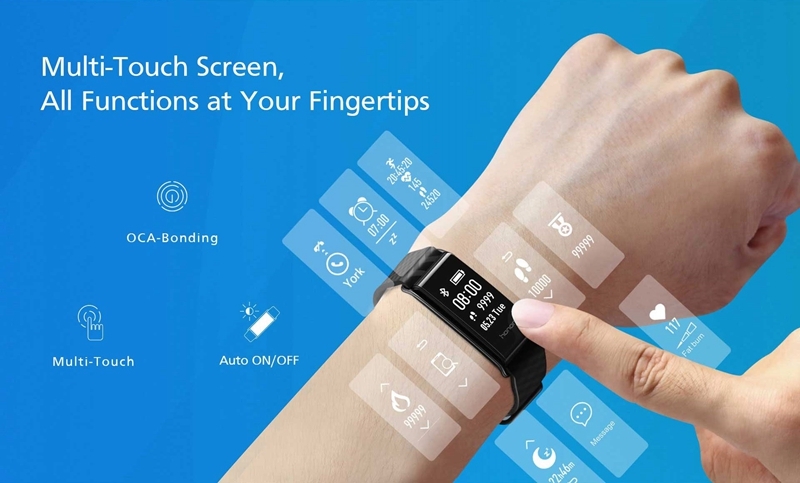 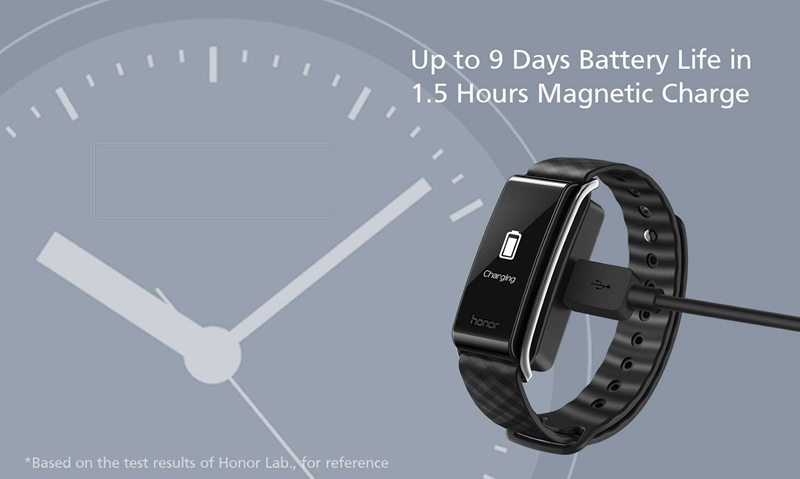 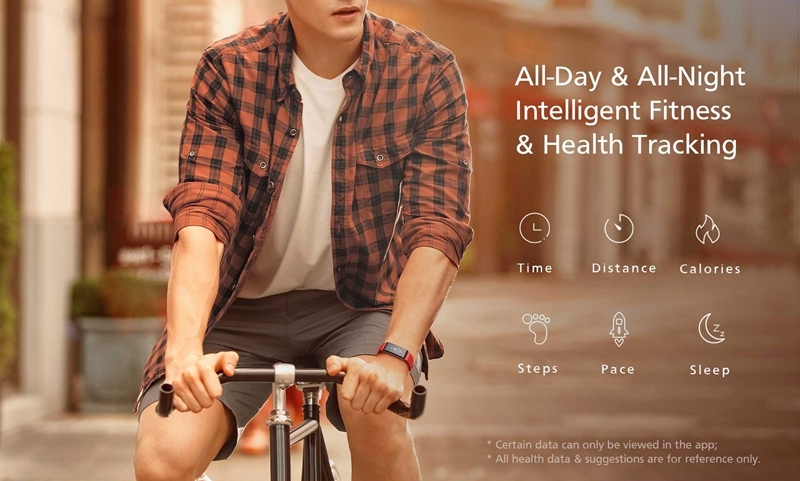 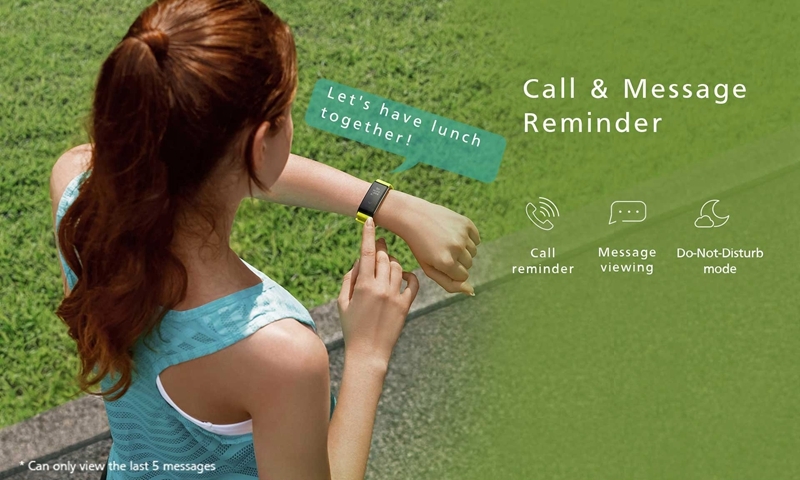 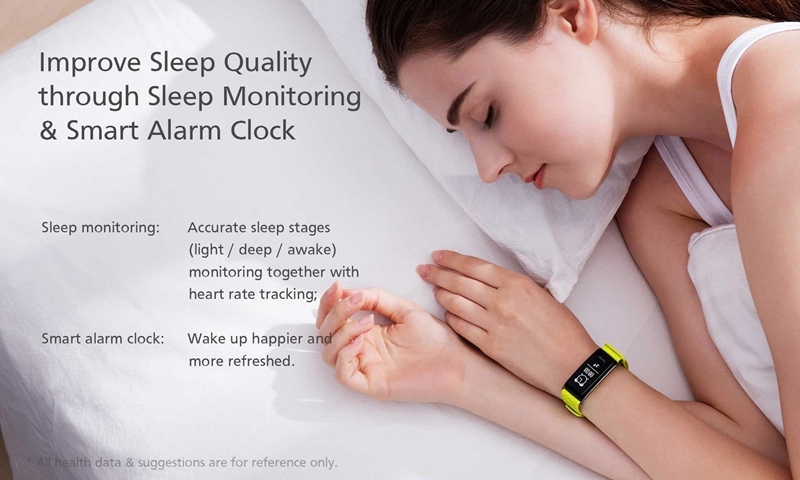 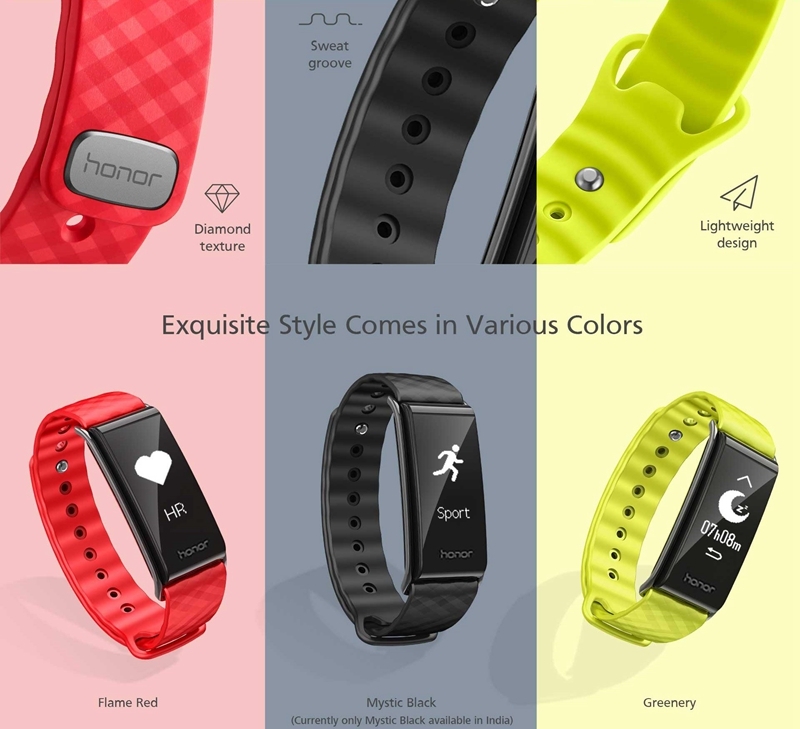 Huawei Honor Band A2 Activity Fitness Tracker has a wide 0.92 inch OLED screen with touch key support. 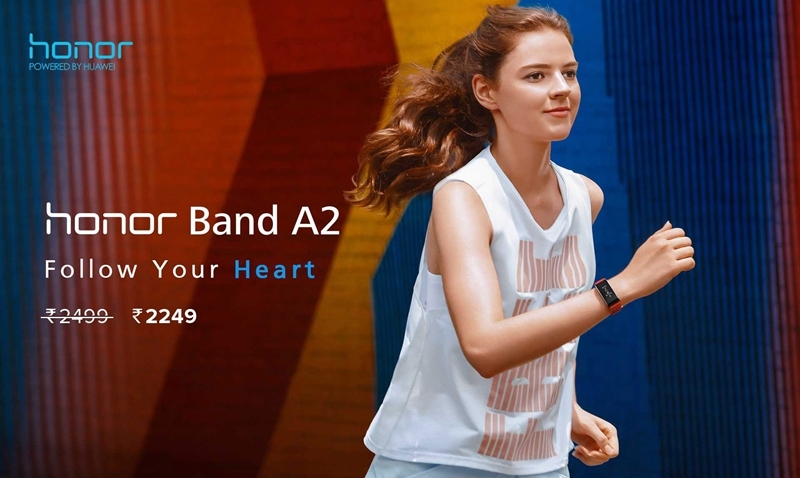 Just like the A1, the Huawei Honor A2 has a stainless steel frame that works more as an aesthetic as well as band holder for the strap than protection to the body of the band. 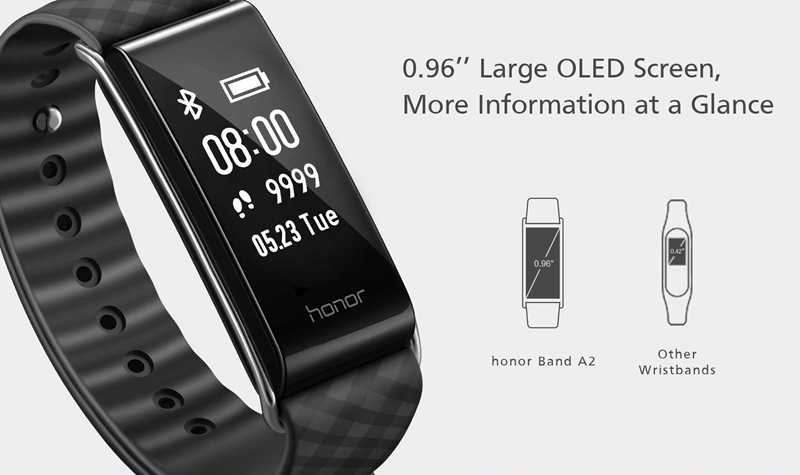 It has a TPU strap with adjustable lock. 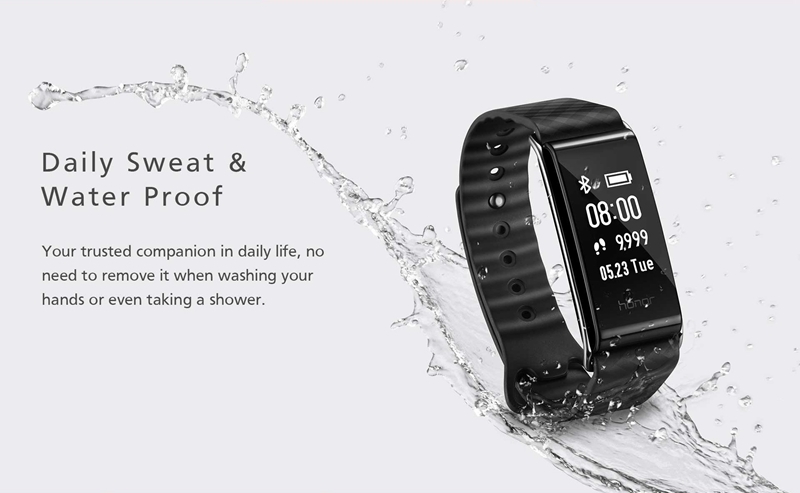 The smartband is also waterproof and dustproof with IP67 rating but not swim proof. 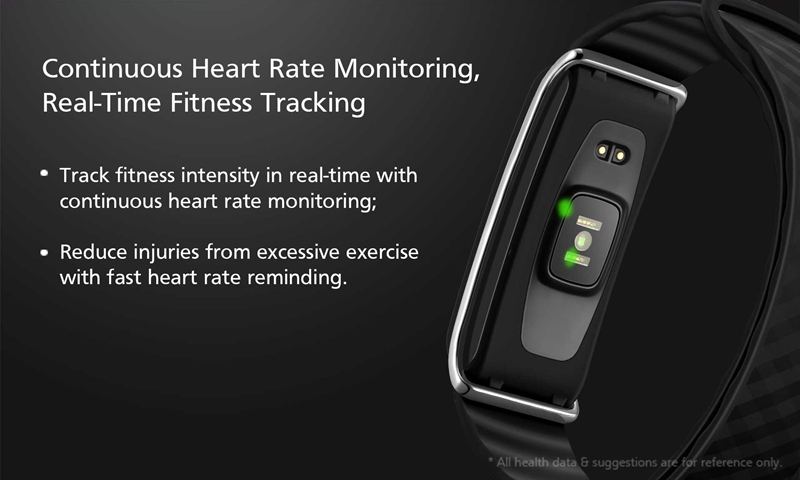 Underneath is an elevated heart rate and power connector and uses a charging cradle to charge the band.